In 2015, Friedrich Kleinhapl founded “Get a Hearing” – together with his wife and the German pianist Andreas Woyke. The association wants to support children with hearing impairment. For children suffering from this illness and not supported by the social network, urgently needed hearing aids as well as therapy- and logopedic-treatments are financed. To support this, ticket sale money and financial donations are collected at „Get a Hearing – concerts” as well as awareness is created for the „wonder of hearing” and children’s „hearing impairment”. 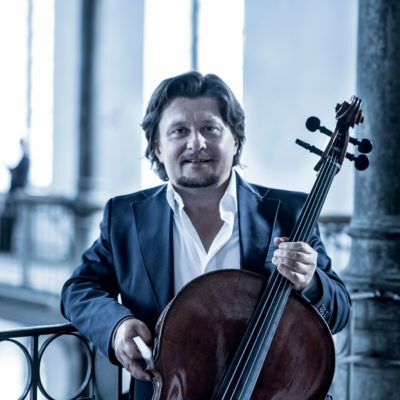 Cellist Friedrich Kleinhapl from Vienna surprises his listeners with his independent interpretations, in which there is always plenty of space for the moment, for spontaneity, so that his music emerges at every moment at every concert - always new, always different. Away from the mainstream, the cellist is open to new compositions and loves to combine something unusual with old-fashioned.